White Plains, NY. September 6, 2017 The American Booksellers Association (ABA) and the Authors Guild announced today a new joint initiative to produce events in independent bookstores around the country. The events – each of which will include a conversation and a book signing – will pair a debut author with an established author in the authors’ home area. All the emerging authors have been chosen by independent booksellers for ABA’s “Indies Introduce” list. Three events are scheduled for fall 2017, beginning on Tuesday, October 24, at 7p.m. EDT at Decatur Library in Decatur, Georgia, featuring Angie Thomas (The Hate U Give, Balzer + Bray) and Indies Introduce author Nic Stone (Dear Martin, Crown Books for Young Readers). Subsequent events include Esmé Weijun Wang (The Border of Paradise, Unnamed Press) and Margaret Wilkerson Sexton (A Kind of Freedom, Counterpoint) at Book Passage in Corte Madera, California, on Sunday, October 29, at 1p.m. PDT; and Rachel Vail (Well That Was Awkward, Viking Books for Young Readers; Justin Case, Macmillan) and Karina Yan Glaser (The Vanderbeekers of 141st Street, HMH Books for Young Readers) at Bank Street Books in New York City on Sunday, October 29, at 1p.m. EDT. 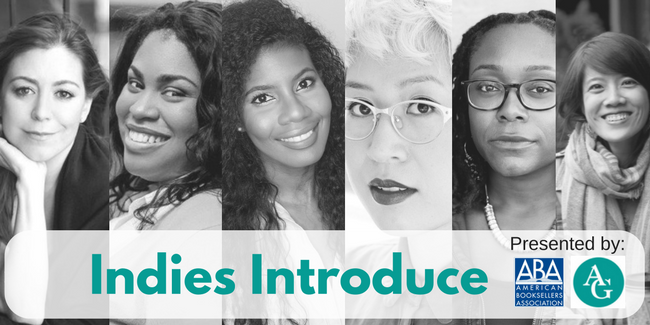 ABA developed the Indies Introduce program in 2013 in order to highlight debut authors as selected by a panel of independent booksellers. Twice a year (Winter/Spring and Summer/Fall) bookseller panelists read and discuss publisher–submitted manuscripts, then announce 10 adult and 10 YA/middle grade Indies Introduce titles. The ABA works with member stores and publishers to promote the Indies Introduce titles and authors throughout the season in which they go on sale.